So Kevin is on his way up here as I write – and the wargaming weekend will start!!! 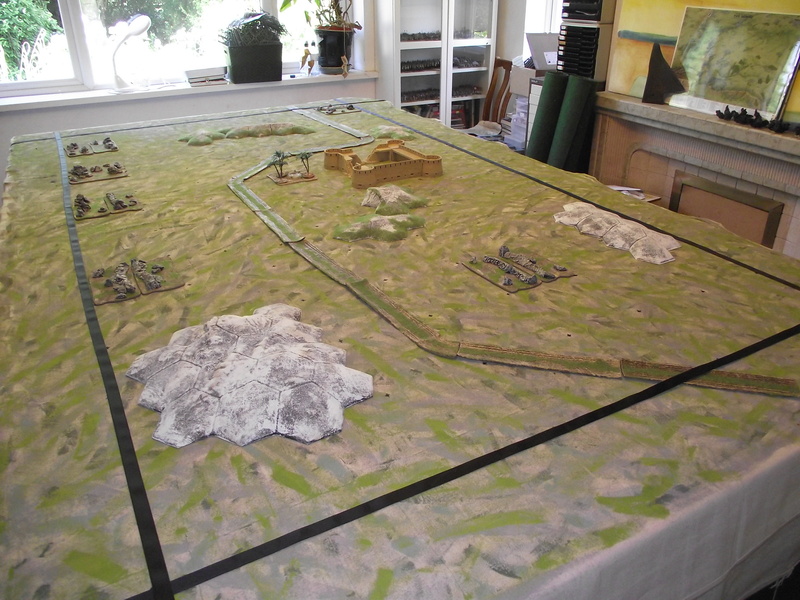 I’ve marked out a 9 x 5 foot terrain which we will use for all three games planned. First up a Battlegroup Tobruk game – my first. It will be between two long-range scouting groups of Italians and British. Each are either hoping to grab the Oasis, or spoil it so the other side can’t use it. Finally going to break out the To the Strongest rules and pitch a Roman/auxiliaries army against a Roman/auxiliaries army fighting for the Oasis. Hoping to push the rules and see whether they work for a moving game rather than a line up and have at each other game.